Our methods for content creation have changed drastically throughout the years — from quill pens, to typewriters, to the computers we use today. Speed and convenience have never been more important, especially to marketers. To reach a high level of efficiency, we continue to hone the tools we use for creating, editing and sharing content. There are more than 5,000 marketing tools available to marketers. How do you choose which one is right for your team? Scott Severson, Brandpoint’s president, lists a Content Marketing Platform (CMP) as one of the top five tools every marketing team needs. One of the greatest features of a CMP is its editorial calendar, which has allowed marketing managers and strategists to ditch their old-school spreadsheets and streamline their content production. Content type: Is this a blog post, whitepaper, social post or sell sheet? Publishing channel: Where does the final content live and how is it accessible? Persona: Who is the target audience that will interact with this content? Buyer stage: Where are they at in the journey map and what’s the call to action? Keywords: What are the words and phrases required to help capture search traffic? Project: Which campaign, client, business unit, product line or marketing initiative is this content associated with? Word or character counts: What is the ideal target or maximum length the content can be? The very nature of a calendar is to present content by the expected publish date, along with everything else on the schedule requiring your team’s resources. You can see if there is too much work planned or conflicts that would put an on-time delivery at risk. By tracking and updating delivery times, it becomes easy for you to identify where work is getting delayed. Do you keep moving an item to a later date on the calendar? If so, then there’s an issue to solve. The more work that gets delayed, the more your production pipeline is likely to back up. And when work gets backed up, the success of your marketing strategy is in jeopardy. Still not convinced? Take a peek at this post for even more reasons why you should be using an editorial calendar. Not all editorial calendars are created equal. Like the quill and the typewriter, there are tools that are antiquated and more hassle than is necessary. Google and Excel spreadsheets are great for capturing lots of specific information. However, the fatal flaw of spreadsheet-based editorial calendars is that they are clunky to set up and time-intensive to manually maintain. The information is entirely static — there’s no automation that updates the status or notifies you, your team or other stakeholders that information has been added or changed. When it comes to organization, it’s easy to get lost in a sea of tabs and confusing organizational tactics that only the people who work closely with it would understand. You want it to look nice for stakeholders who may access it only once in a while, but who wants to take the time to do that? Online editorial calendars present content in a calendar day, week or month view. This helps you better balance your workload and allows you to share this information with those who subscribe to the calendar. However, online calendars are still manual to manage and are completely disconnected from the actual content and publishing channels. So you still end up needing to work in multiple places just to keep everything in sync. While these above methods can get you by day-to-day, they are really just hacks of tools designed for other uses, so they often end up requiring more effort and workarounds to be used in a meaningful way. Did the target publish date change, and why? Who is assigned to the content? What aspect of the content are they working on? When do they need to finish their work? Is the content on track to publish on time? A content marketing platform links the items on the calendar directly to the content and publishing channels you’re using so you can access them anytime and from anywhere. They keep production on track by automatically updating changes and notifying the right people at the right time. Going forward, it becomes much easier to establish and maintain a sustainable planning cadence and deliver content on the schedule. In a glance, you’ll also see if you are providing sufficient coverage across all your channels and for each of your target audiences and their buyer stages. Once adopted, a content marketing platform pays dividends on your time and your sanity. Everyone on the team will know what they are accountable for and nothing falls through the cracks. When you’re no longer struggling to maintain a schedule, your energy is freed up to get your team operating at peak performance and producing effective content to drive your business forward. Want a more organized and stress-free content marketing practice? 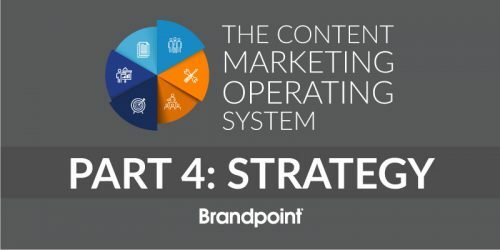 Try the BrandpointHUB content marketing platform with a free 14-day trial.